Isabelle Daza is rushed to the hospital because of "severe pain" in her belly. Her mom Gloria Diaz accompanies her. 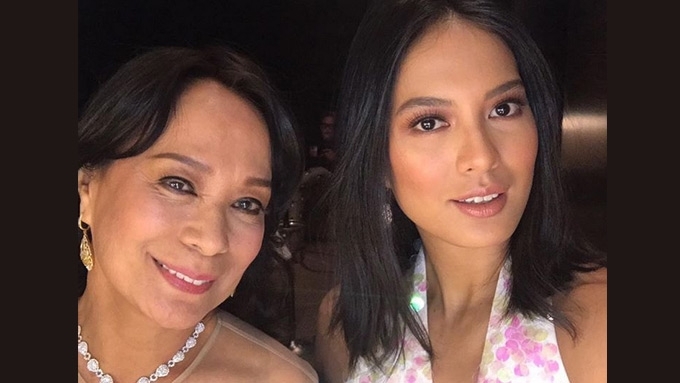 Early today, August 31, at 3:30 a.m., Isabelle Daza was rushed to the Emergency Room because of "severe pain" in her belly. She said she was "too tired to cry," but for about an hour, she was "squirming and shouting." It turned out, she had an acid reflux, which was defined by Emedicinehealth.com as "a condition in which acid backs up from the stomach into the esophagus and even up to the throat, irritating their lining tissues." It's usually aggravated by lifestyle, medication, diet, pregnancy, weight gain, and certain medical conditions. Sans makeup and presumably after her ordeal, she managed to post a photo showing that her life and hair isn't always perfect," and that her mom, 1969 Miss Universe Gloria Diaz, is still poised even on a tough morning. Hmm wasn’t going to post this but what the heck. Life isn’t always perfect (and my hair has volume). Rushed to the ER at 3:30am cause I had severe pain in my belly ???? I was so miserable but too tired to cry. Squirming and shouting for an hour or so. Feeling all better now 3hrs after the meds. Wonder if essential oils can cure acid reflux/indigestion? Anyways no matter how old I get no one makes me feel safer than my mama. ???? She also asked if essential oils can help cure acid reflux, and got several recommendation from friends and followers. One suggested drinking two glasses of "warm water in the morning" before breakfast, and eating fruits before each meal. Another advised against drinking cold water. A netizen mentioned taking "apple cider vinegar before going to bed then warm lemon water before breakfast." Her mom commented: "Belle, eat slower...chew well...and at night, eat safe not too much spice, garlic, even salads." Then the 67-year-old star repeated, "Eat and chew well." But even without the advice, the mere presence of Gloria was enough for Belle (Isabelle's nickname). The 30-year-old star's ending for her caption was: "Anyways, no matter how old I get, no one makes me feel safer than my mama." She felt better "three hours" after taking the meds.